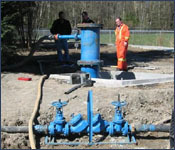 SFE Global is known in the water, wastewater, and industrial sectors as a leader in pipeline pigging technologies. 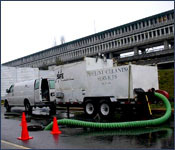 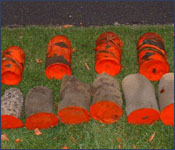 From water to sewer to petroleum product pipelines, pigging has been used since about 1930 as an effective and efficient process for cleaning various pipelines. 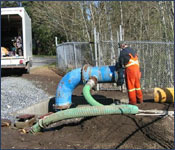 The primary benefit achieved through the pigging process is the removal of all foreign debris from the pipeline, thus increasing capacity, reducing pumping costs, and improving water quality.